With our AeroTrailer we go one step further and make a safe and smooth transport of the aircraft. 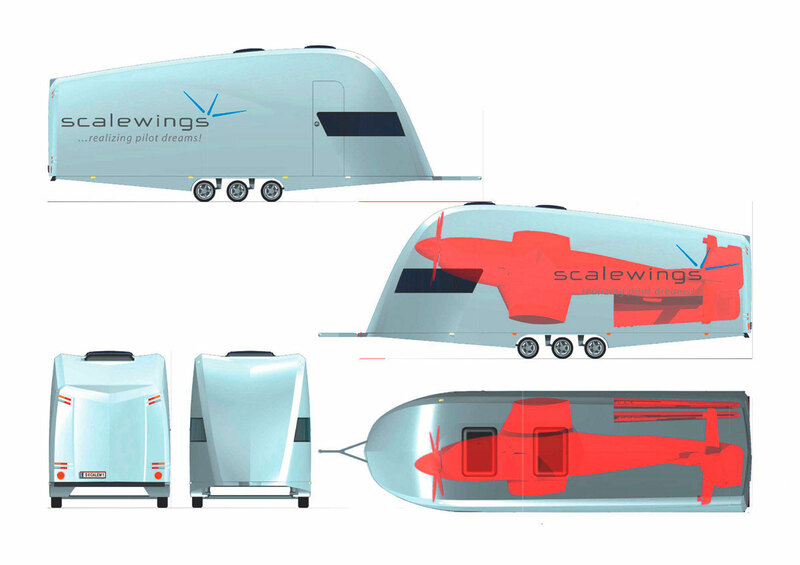 Our trailer is the optimal transport and hangar solution for aircrafts and gyrocopters. The AeroTrailer has a hot-dip galvanized chassis. Its six wheels are equipped with aluminium rims and overrun brakes. Thanks to the three axles, the AeroTrailer runs very smoothly and shows no tendency to swing up. The one-piece fibreglass composite hood can be opened hydraulically and allows free access from the rear and from the side. The hydraulically extendable supports stabilize the AeroTrailer when the hood is open. 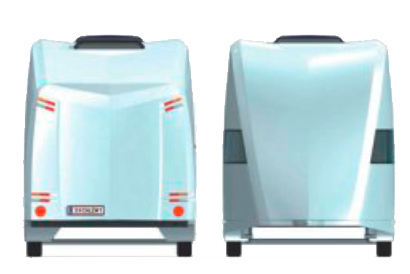 The AeroTrailer has a hydraulically driven holding and turning mechanism that makes the SW-51 suitable for road transport. The SW-51 Mustang and other extra-wide aircraft can be transported on the road with the help of the turning mechanism, which makes loading and unloading a breeze. 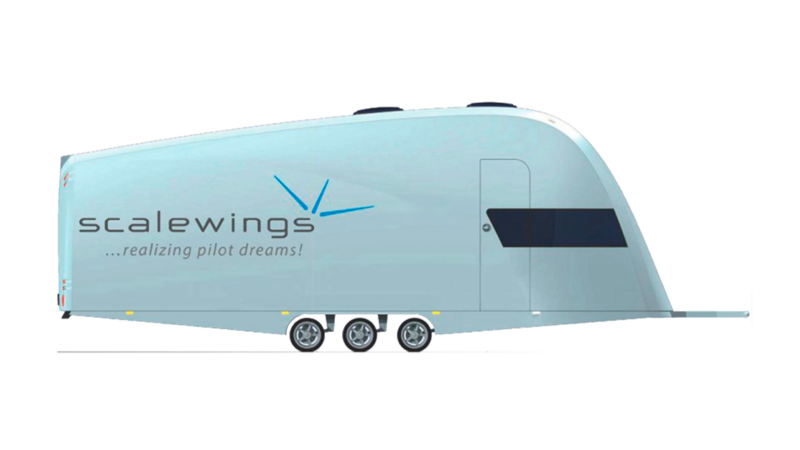 A residential/office extension will be available in order to provide sleeping, office, or workshop space at airfields, events or on the road.